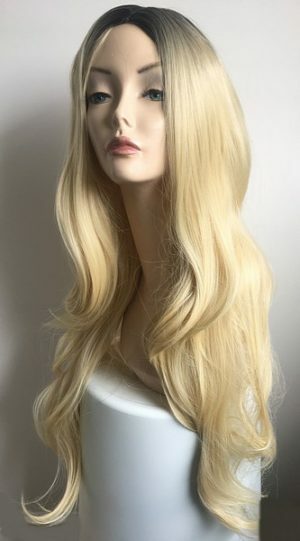 View basket “Amber blonde ladies wig” has been added to your basket. 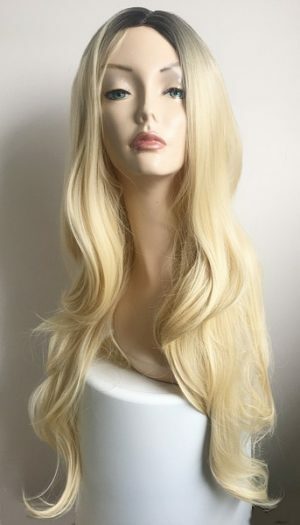 Cindy ladies long blonde wig. This sensational long length ladies wig has fabulous layered styling, fringe and skin top parting. 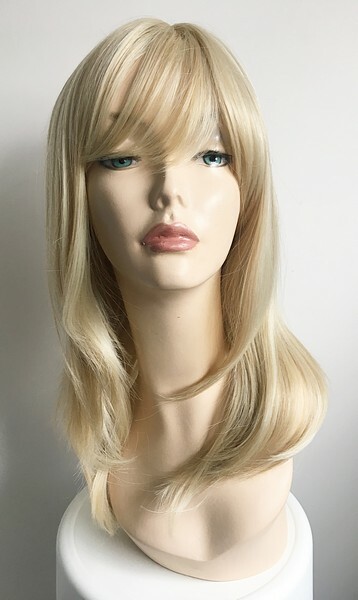 A fantastic ladies blonde wig made with high quality heat resistant fibre, a subtle blend of blonde shades and modern cut give this ladies wig a natural overall finish. 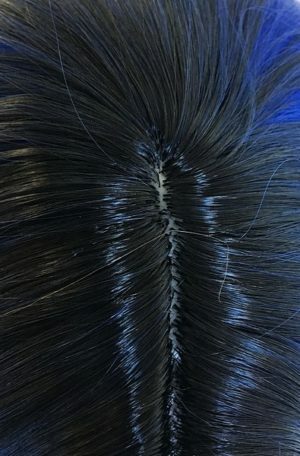 Our Wig Store branded wigs are easy to fit, no need of messy wig glue or tape, simply adjust the velcro or inner hooks at the nape of the neck to provide a comfortable and secure fit. This sensational long length ladies wig has fabulous long layered styling, fringe and skin top parting. Our wigs offer excellent value for money, your perfect hair ready to go! 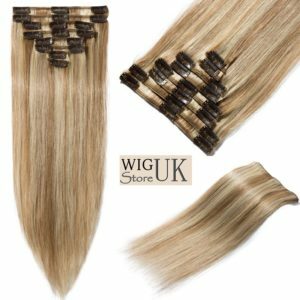 Wig Store UK are based here in the UK, this means all our stock is also kept right here in UK meaning you don’t have to wait weeks to receive your new wig. 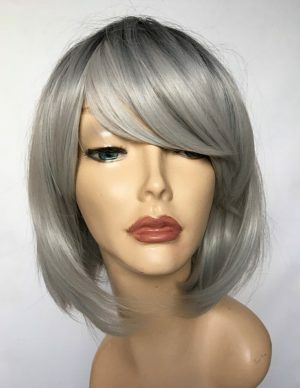 We have a fabulous repeat customer base who are valued wig customers, they have shopped with us for years, our Customer Services is an integral and important part of our core business, we are here to help and happy to. 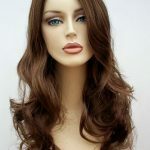 Whatever your reason for purchasing a wig, whether it be for medical of fashion purposes we are sure you will find the right style for your needs right here. 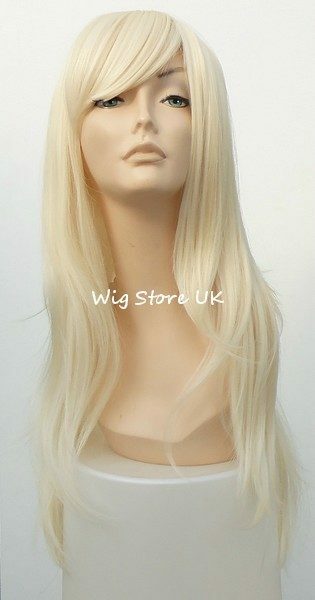 All our ladies wigs are made from high quality synthetic fibre, they are pre-styled which make them super easy to wear. 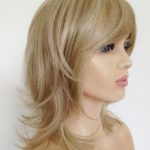 See our full range of wigs today and transform your look and confidence in a matter of minutes. Enjoy browsing our site, order from home, delivered to your door in discreet plain packaging. 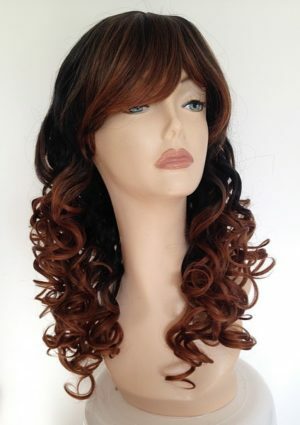 Fabulous dip dye long wig, soft curl design, heat resistant wig. 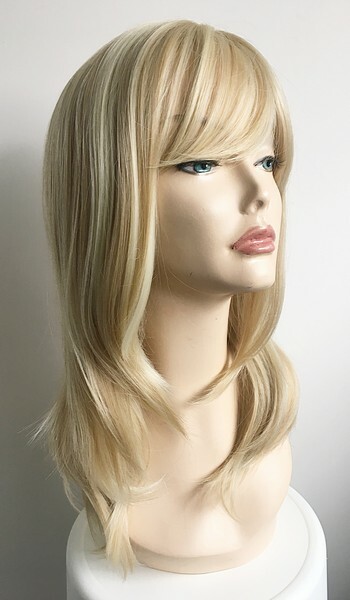 This sensational mid length ladies wig has fabulous layered styling, fringe and skin top parting. Skin top crown and wavy style give this ladies a stunning modern look. 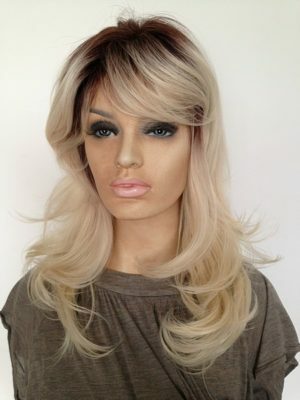 Super blonde extra long ladies wig, heat resistant fibre and stunning overall glam look. A beautifully styled ladies longer length wig with soft waves and ombre shades. Made with soft quality synthetic fibre and finished in a combination of darker root to blonde. 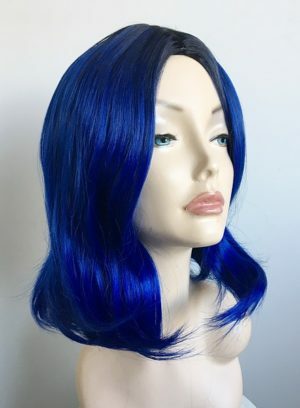 Blue ombre dip dye wig Roxy. Ladies fashionable dip dye mid length fashion wig, dark off black roots to bright blue colours. Skin top parting and full volume give this ladies a stunning modern look. Ladies fashionable dip dye bob style wig, dark roots to honey and a lighter blonde colours. Skin top parting and sharp cut give this ladies a stunning modern look. 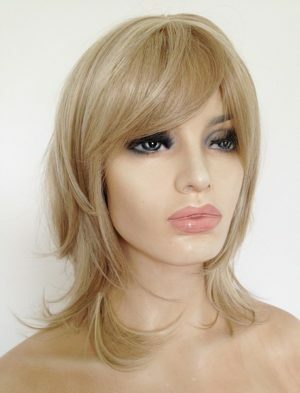 Dark root ladies blonde wig Lexi. Fabulous red rooted ladies wig contrasting with lightest blonde color shade, wefted top for full volume and modern layered styling. Made with brilliant quality heat resistant fibre. This ladies long full wig is easy to fit, simply adjust the hooks at the nape of the neck for you perfect fit, no tape, no glue and no mess! 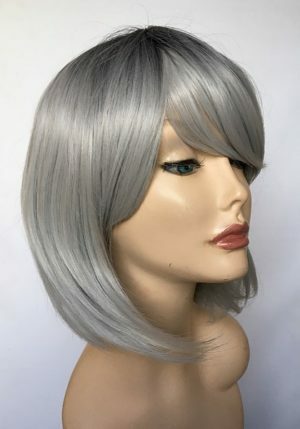 Ladies fashionable dip dye short length fashion bob wig, dark roots to light grey. © Copyright 2008-2017. All Rights Reserved.